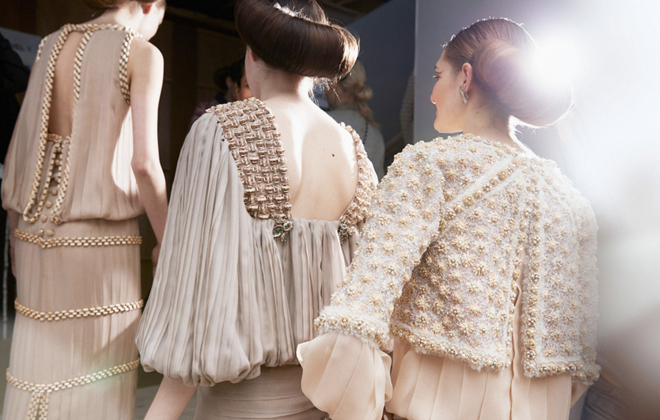 All hail Karl, the King of haute couture. 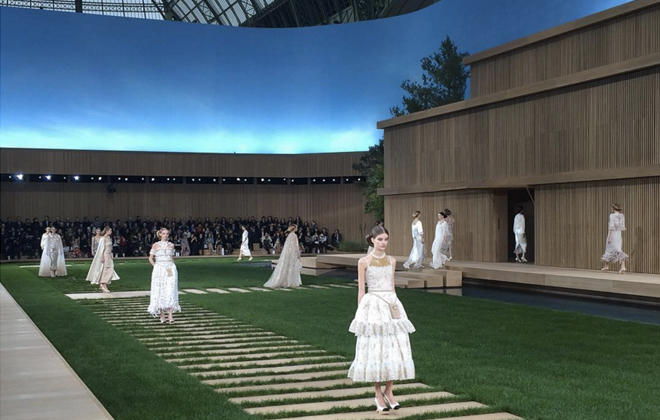 This past week, the Chanel Haute Couture Spring 2016 show debuted once again at the magical Grand Palais in Paris. Here we saw some of the worlds finest clothes that are entirely handmade, painstakingly, for hundreds of hours per piece, put on show for the elite few on this planet who actually buy these clothes. But that’s not entirely the point of this post. 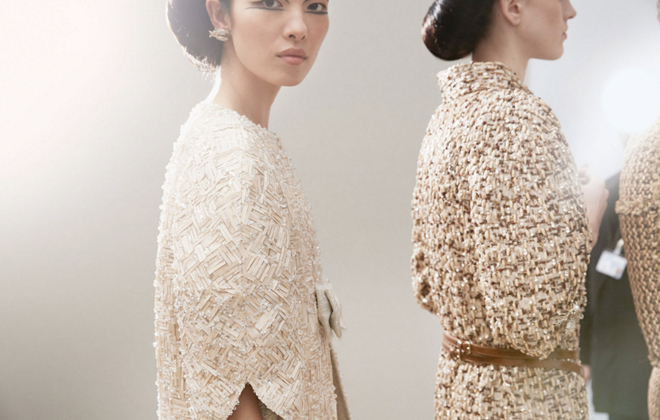 To me, this world of haute couture and the SHOW that Chanel puts on around it is more about highlighting what it really means to create beautiful pieces of art that one can wear. Perhaps, it is also about the chance to create a world that we can escape to that is just overall lovely and happy, peaceful and beautiful. We can all go there even for a mere 20 minutes. 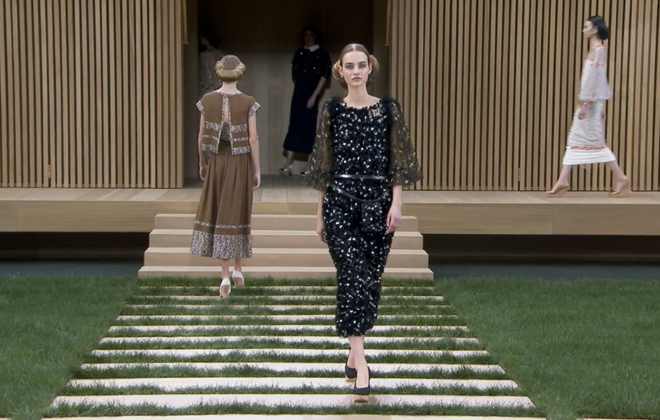 I felt it necessary to share with you (in case you missed it) a glimpse of what Chanel pulled off this time around. 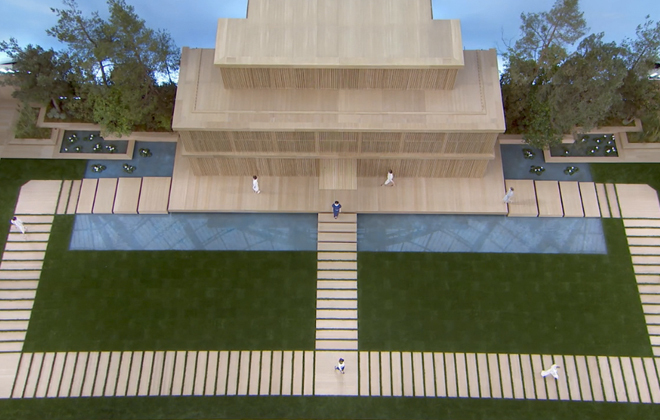 They created this complete fantasy world for us and built what is in essence a huge dollhouse that the models emerged from and then collected in for the finale. It had massive, moveable hinged doors for goodness sake! It was awesome! 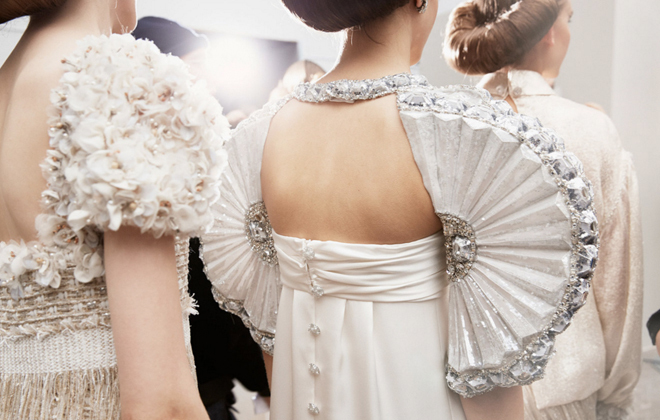 I hope you might appreciate a few images that showcase the detailed work that goes into these fashion pieces that the show centers around. 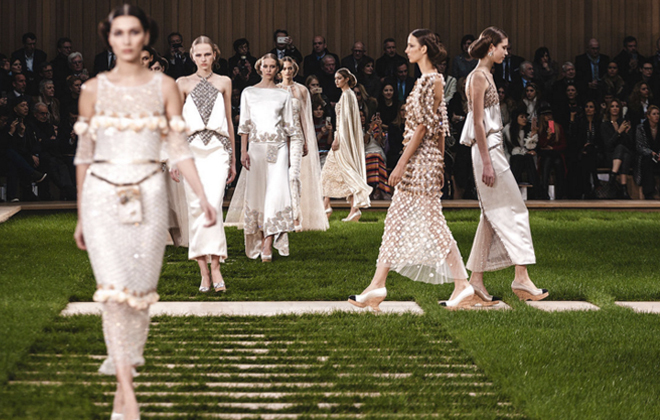 Chanel did a stunning job once again, lead by the visionary Karl no less! Enjoy the show. View from above of the amazing stage and setting. 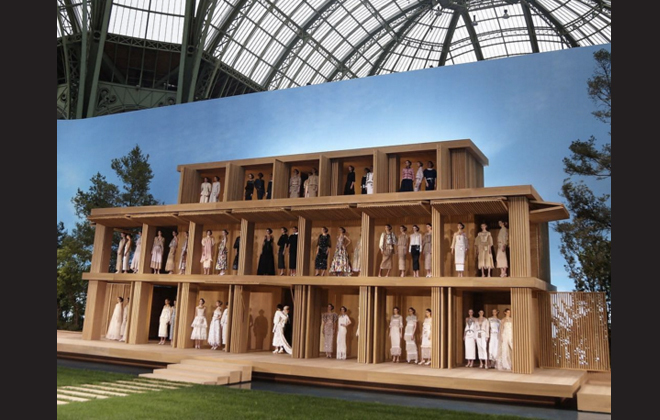 All photos from Chanel unless otherwise noted. The models emerge. This photo is by Agnieszka Scibior. Look at all those gorgeous dresses on parade! Really love this beaded, flowing black dress and the back of the one about to walk up the stairs. 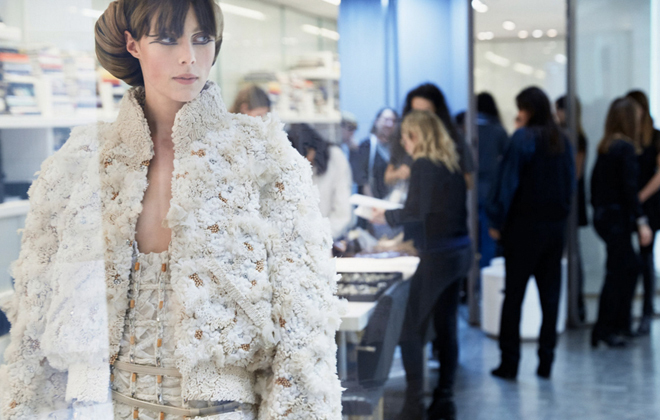 An image of Karl observing one of the preshow fittings. Look at the incredible details in this work. Sigh. More beauty. Love, LOVE this top. OK, perhaps I went overboard a bit here. But LOOK at these! I’m in love.